The article is in conflict with the scientists where boron’s being “necessary” for RNA production becomes Gasda’s “one possible bridge”. But this is more interesting for the current many-step (“many-pot”) fresh water biochemical theory for life emergence that a minority holds to. The dominating biological and geological theory that both places it in (one-pot) alkaline hydrothermal vents, at a time – on Earth – where there were no or little land but much ocean bottom vents. The Hadean ocean would produce pentoses around such vents continously (by the Keller pathway), so there should be little need for pentose stability as long as the vents (say) concentrated similar amounts of nucleotides. I would not rule out that the mainly land dominated Mars had a different path to emergence than Earth seems to have had. 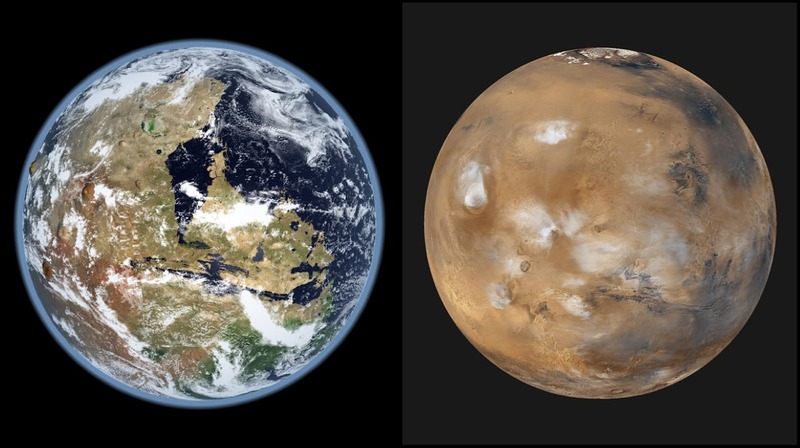 But it is suspected that Mars too had a hefty ocean early on, and Spirit famously found a fossil alkaline – silica producing – hydrothermal vent (that trapped it).